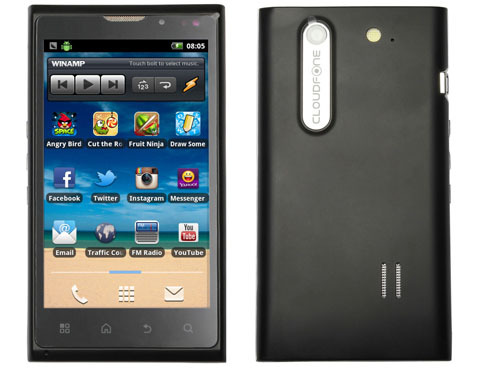 the CloudFone Thrill will definitely live up to your expectations! Looking for a phone that's both economical and powerful? Look no further! 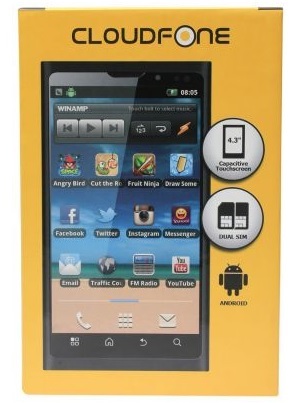 Go for this CloudFone Thrill budget android handset. Specs-wise, it can hold it's own among the more expensive phones in the market. This value-for-money, high-performing android phone is definitely something you shouldn't miss. The CloudFone Thrill boasts a 4.3-inch WVGA capacitive touchscreen that lets you see more and play more of your favorite games. It also runs Android 2.3 Gingerbread and is powered by a 1200mAh battery. Take snapshots of important moments as they happen using its 5-megapixel camera that also comes with a 0.3 megapixel front-facing camera. Need to surf the web? You can do so with its Wi-Fi connectivity feature. More about the CloudFone Thrill after the jump. The CloudFone Thrill is exclusively offered online for FREE at Globe Postpaid mySuperPlan 499, Family Combo 1,499 and Unli Surf Combo 999. With Plan 499, you get P499 consumable per month and 2 freebies. The phone is also available at Zalora Philippines for Php6,299 only! - Some of the specs of the CloudFone Thrill is still not available at this moment. We'll update this post once we know more about the specs of the CloudFone Thrill, so stay tuned! nandito na bayan sa davao ? I'm sorry, but no. This phone on paper alone is a friggin' disgrace. Can hold its own? High-performing? Sure, if it was 2008! Come on!! may gpu din po ba yan?? like adreno 200? ?